So What Part of NY Courts R Corrupt You Did Not Understand? On Friday, U.S. District Judge Naomi Reice Buchwald in Manhattan ruled for the banks, gutting lawsuits about LIBOR manipulation. Judge Buchwald’s nickname is “Buckwild” and she is very much part of the New York crowd. So what part about the court in New York being the most corrupt do people fail to understand? It is the only court that claims it can change the words of witnesses in the transcripts to sanitize the record AFTER the fact, something anyone else would get 5 years in jail for (see UNITED STATES v. ZICHETTELLO @p97). No suit against ANY major NY bank will EVER proceed in that court – Southern District of New York. Every major suit ever filed in the SDNY since 1985 has been largely dismissed. Just look at all the suits dismissed even AFTER the investment banks plead guilty to the SEC for putting out fake research. Here there were 16 banks that had faced claims totaling billions of dollars in the case, which had been considered the biggest legal threat in recent years. As far as investigations being pursued by regulators in the United States, Europe and Britain, those will always be non-events. ANY New York Law Firm that brings this type of suit we have to ask WHY when none ever succeed? Clients pay them millions up-front to do a job that never works? Perhaps, these suits are brought in NYC knowing they will be dismissed and that is the way the banks remain UNTOUCHABLE no matter what they do. Perhaps the law firms are part of the protection for the banks. 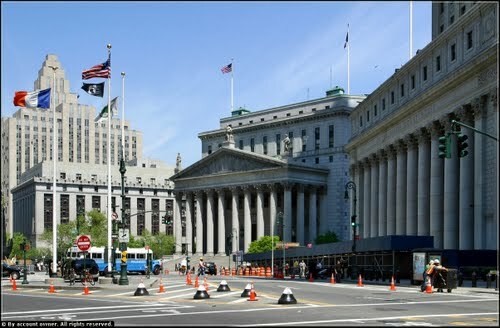 If they really wanted to win, they should have brought the lawsuits in London where LIBOR is set – why New York? This time the banks included Bank of America Corp, Citigroup Inc, Credit Suisse Group AG, Deutsche Bank AG, HSBC Holdings PLC, JPMorgan Chase & Co, Royal Bank of Canada, Royal Bank of Scotland and WestLB AG. Since NY dismisses the lawsuits, it is then impossible to bring them in the US again. The banks were accused by a diverse body of private plaintiffs, ranging from bondholders to the city of Baltimore, of conspiring to manipulate the London Interbank Offered Rate (Libor), a key benchmark at the heart of more than US$550 trillion (S$682 trillion) in financial products. How can these banks pay fines, manipulate constantly, and always walk away? Something is just not right about this whole thing. NEVER sue the banks in New York. That is their home turf. The Facebook suits were consolidated and usurped from around the country and sent where – NYC. That is the court that handled M.F. Global. Come on. The definition of insanity is constantly doing the same thing over and over, while expecting a different result. Congress will not reform the banks, nor the Judiciary. So the whole thing is one giant waste of time.